TORONTO (Reuters) – Canada’s dollar will strengthen over the coming year as economic growth prompts the Bank of Canada to raise interest rates again, a Reuters poll showed, but strategists see risk to their bullish forecasts from NAFTA talks. 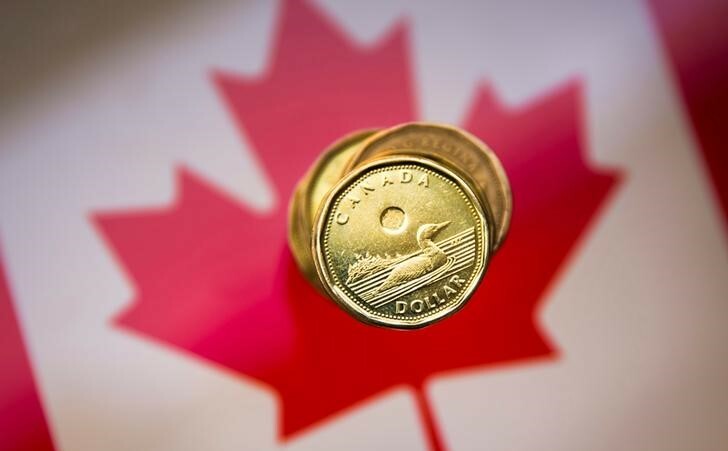 The poll of more than 40 foreign exchange strategists predicted the loonie will rise to C$1.27 to the greenback, or 78.74 U.S. cents, in three months, from around C$1.2954 on Thursday. After hitting a 2-1/2-month low on Tuesday at C$1.3067, the currency is expected to climb further to C$1.25 in a year. Canada’s central bank has raised its benchmark interest rate three times since last summer to leave it at 1.25 percent. Economists polled by Reuters expect it to hike twice more this year. Chances of further tightening as soon as next month have climbed to about 70 percent, data from the overnight index swaps market showed, from less than 50 percent before a recent policy statement from the central bank that was more hawkish than the market had expected. “We think the Bank of Canada will basically be on a hiking path that is not dissimilar to the Federal Reserve,” said Ranko Berich, head of market analysis at Monex Canada and Monex Europe, who expects the loonie to strengthen to C$1.19 in 12 months. In addition to slow-moving NAFTA talks, policymakers have been fretting recently about the impact of new U.S. tariffs on steel and aluminum imports. Top U.S. allies are set for a showdown with Washington at this week’s G7 summit in Canada as the Trump administration shows no sign of backing down from protectionist policies that have upset trading partners and unnerved investors. Reduced risk appetite could weigh on the Canadian dollar because Canada depends on capital flows to finance its current account deficit. “When risk aversion picks up, volatility picks up, capital flows tend to dry up and you get risk of undershooting on the exchange rate,” said Ben Randol, senior FX strategist at Bank of America Merrill Lynch (NYSE:BAC).